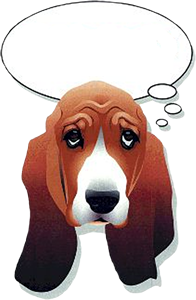 From time to time, basset owners are faced with veterinary expenses that can be difficult to pay. Because BROOD wants owners to be able to keep their dogs, we have compiled a list of organizations that can help with those extraordinary vet bills. While BROOD cannot directly help with individual owners' veterinary costs, we do have a list of organizations who can. Note that BROOD has no affiliation with any of these groups, nor do we endorse them in any way. We provide this list as a service and based on information from the organizations' websites. This information is primarily for individuals with companion animals in a permanent home, but some of them also help rescue organizations for individual animals, or help handicapped people purchase, train, and care for service animals. Perhaps this list of organizations that will help with emergency vet bills may be able to help you in times when the determining factor in saving your pet's life is the ability to pay an unexpected or costly vet bill. Note: These organizations help only in EMERGENCY situations such as accidental injuries requiring immediate care, or long term health problems requiring surgery or ongoing treatment, such as orthopedic repairs or chemotherapy for animals with cancer. They are not for people who can't or won't provide basic care for their pets. Most of these organizations also accept donations, and many are tax deductible, so if you are able, these would be worthy causes to donate to, where your donation will go directly to help an animal in need. Angels 4 Animals - Angels4Animals, a non-profit organization and a program of Inner Voice Community Services, has a mission to serve as the guardian angel of animals whose caretakers find themselves in difficult financial situations. At Angels4Animals they believe that animal owners should not have to say goodbye to the animals that they love. Their work is accomplished in conjunction with veterinary clinics across the country, eager to assist as many animals, and their owners, as possible. The services offered range from financial aid to complete treatment to those pets and pet owners in need. Canine Cancer Awareness - Canine Cancer Awareness (CCA) is a nonprofit organization dedicated to fighting canine cancer. They help sponsor the veterinary costs of dogs diagnosed with cancer for those families in financial need who would not otherwise be able to afford treatment. You can help sponsor these dogs too! The Dog and Cat Cancer Fund - The Dog and Cat Cancer Fund offers grants to owners of pets with cancer who might not otherwise be able to afford treatment. It is funded by profits from Zuke's, a Colorado maker of natural pet treats that pledges a percentage of profits to the fund. Criteria include the pet's prognosis and the owner's financial need. Call 866-985-3364 or check their website. Handicapped Pet Help Fund - From time to time, HandicappedPets.com recognizes a caretaker of handicapped pets that need some special attention, and a little extra help. There are those who are so selflessly dedicated to their animal families that they give up a little more than they can afford. This special fund is used to provide support to those people. iGive.com Every day, folks just like you list and support the causes (big or small) that they care about most. Over 24,367 organizations have been listed at iGive.com, with 10 - 20 added every day! Any cause in the U.S. or Canada qualifies, and 501(c)3 nonprofit status is not required. Once your cause is registered, iGive will donate up to 26% of every purchase you make to the cause you designate when you shop online at over 680 brand name stores. IMOM (an acronym for "In Memory of Magic") - The mission of this group is to help people help pets. They are dedicated to insuring that no companion animal has to be euthanized simply because their caretaker is financially challenged. This is an all-volunteer 501(c)3 charity. The Magic Bullet Fund - The Magic Bullet Fund helps people who have a dog with cancer but cannot afford treatment costs. The Pet Fund The Pet Fund is a registered 501(c)3 nonprofit association that provides financial assistance to owners of domestic animals who need veterinary care. Often animals are put down or suffer needlessly because their owners cannot afford expensive surgery or medical treatment. Companion animal owners must often make the difficult decision to put an animal down or neglect medical needs because of the costs involved. The purpose of the Pet Fund is to work towards a future where decisions about companion animal medical care need never be made on the basis of cost. R.U.F.F. (Rescuing Unwanted Furry Friends) - RUFF's mission is to help pay the veterinary bills for sick, injured and abandoned animals, while also supporting humane education. Serving abandoned, ill and injured animals in Orange County, CA. Red Rover Relief Grants - The Red Rover Relief Grants program provides grants for companion animals during life-threatening emergencies when rescuers or caregivers cannot afford the entire cost of treatment. Thanks to generous donations from members and other caring individuals, Red Rover Relief Grants has aided more than 1,500 animals with no-strings attached grants for emergency veterinary care.